FOIMan probes the refusal of a request for immigration statistics by the Home Office – and finds they haven’t always been so cautious. Earlier this afternoon I was asked if I would agree to being interviewed on BBC Radio Kent about the refusal of a request they had made to the Home Office. Not wishing to sound a complete dunce, I did a little digging around and was quite surprised at what I found. The BBC had asked the Home Office for the numbers of illegal immigrants that had been detained seeking to enter the UK via the port of Dover in Kent in each of the last 5 years. A month late, it should be said, they received a response refusing the request, citing the exemption at s.31(1)(e) – if disclosure would, or would be likely to, prejudice the operation of immigration controls. BBC Kent sent me a copy of the response to see what I thought of it. Well, for a start, it failed to set out the exemption correctly – for example, failing to say how likely the prejudice is. With exemptions formulated as “would, or would be likely to”, the Commissioner and Tribunal expect public authorities to say which of those applies. The nature of the prejudice claimed was only explained as part of the public interest test, presented in an annex. The Home Office fears that if it disclosed these figures, and then other requests were made for the same statistics in relation to other UK entry points, this could be used to establish the weak points in the border. It’s the classic “jigsaw request” argument – that the prejudice might occur through the piecing together of data from different sources. In all honesty, my initial reaction was one of scepticism. But I checked the Information Commissioner’s decisions to see if the ICO had looked at any similar requests. Sure enough, I found that last year a request for similar details relating to Glasgow Airport had been refused on similar grounds. It’s difficult to be sure without having seen the response, but there are suggestions in the Decision Notice that the same mistakes were made in applying the exemption then (which begs the question as to why the Home Office don’t appear to have learnt anything since then). Despite this, the Commissioner upheld the use of the exemption. Fair enough, I thought, he’s obviously been persuaded by the Home Office’s arguments, and ICO investigators are quite likely to have been party to more background detail than I am. So I was all ready to tell BBC Kent that it looked like they were out of luck. But then I tried TheyWorkForYou.com – the sister site to WhatDoTheyKnow.com that provides ready access to responses to MPs’ questions in Parliament. 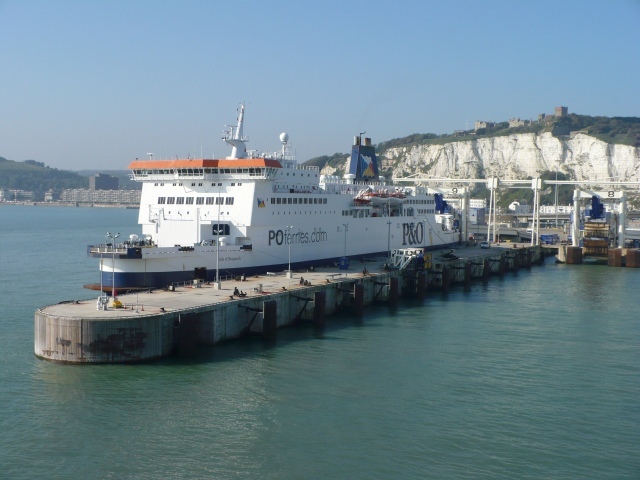 And up came a response given by Damien Green, the then Minister for Immigration in the Home Office, provided to Dover MP Charlie Elphicke in 2011. In response to an almost identical question to that asked by BBC Kent, the Minister provided the statistics for 2008-09, 2009-10 and 2010-11. So the real question is – what’s changed between 2011 and 2014 to make the Home Office suddenly so reticent about disclosing these figures? I wonder if the ICO were aware of this when they made their decision in relation to Glasgow Airport. Photograph by Robin Drayton [CC-BY-SA-2.0 (http://creativecommons.org/licenses/by-sa/2.0)], via Wikimedia Commons.